New York Festivals International Advertising Awards added a new competition to their Advertising Awards powerhouse competition roster: Sports. The 2018 Advertising Awards Sports competition will honor all facets of advertising, marketing, sponsorships, and creative communications on all platforms in the sports industry sphere. 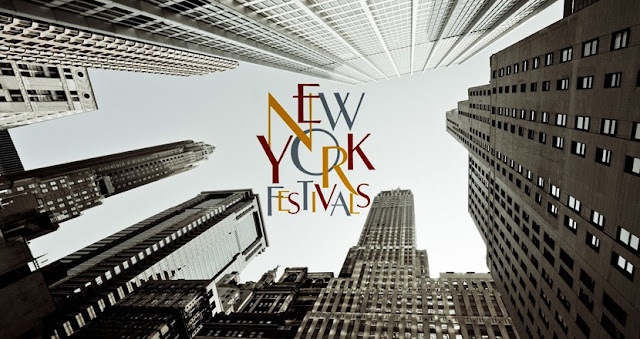 New York Festivals monitors trends within the advertising and marketing industry and continually updates their competitions to provide opportunities to recognize the innovative creative and technological work advertisers and marketers are using to engage consumers on behalf of the global brands. The sports competition addressed recent trends in sports campaigns and prompted NYF to provide an expanded opportunity for sports-related creative. “Sports advertising accounted for 814 million U.S. dollars alone on TV ads aired during sports programming in 2016,” according to Statista. “With sporting events playing out on the world stage daily, this new competition insures that there is a highly regarded place for this innovative creative work to be awarded and showcased,” said Michael Demetriades, President and Executive Director of New York Festivals. NYF’s Advertising Awards honors advertising excellence through 21 competitions in all media from 80+ countries and represent the full spectrum of today’s advertising communications: Activation/Engagement, Audio, Avant-Garde/Innovation, Branded Entertainment, Creative Marketing Effectiveness & Strategies, Design, Digital, Direct & Collateral, Film, Film Craft, Integrated Media Campaign, Media, Mobile, Outdoor / Out of Home, Package & Product Design, Print, Public & Media Relations, Public Service Announcements, Sports, and Student. New York Festivals recognizes exceptional contributions by individuals and companies within the international advertising, marketing, and communications community. In addition to Best of Show, Global Brand of the Year, Global Agency Network of the Year, Regional Agency of the Year, and Best New Agency of the Year, special awards in the competition shine the spotlight on innovation and include: Boutique Agency of the Year, Independent Agency of the Year, and Best Commercial Film Director. For more information, please visit: HERE. New York Festivals will celebrate 2018’s award-winning entries at the New York Show℠ awards ceremony and gala. The annual event will take place the evening of Thursday, May 17, 2018 at the world-class performance space, Jazz at Lincoln Center’s Frederick P. Rose Hall, Broadway at 60th Street, New York City.